Perhaps Archbishop Byrnes doesn't know this, but the reason he's even here (on Guam and not in Michigan) is because of what happened on that fateful January morning on KOLG in 2006. On a call-in talk show hosted by Fr. Mike Crisostomo and Fred Rodriguez, Archbishop Apuron, uninvited and unannounced, barged in and took over the show. 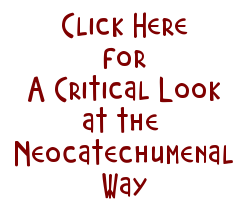 The topic had turned to a discussion about the Neocatechumenal Way and the recently released directive from the Congregation for Divine Worship and the Sacraments (CDW) requiring the NCW to conform its liturgy, particularly its communion rite, to what was prescribed by the liturgical books. Apuron (who normally only listened to KOLG to hear himself sing) apparently overheard the discussion and ran to the NCW's rescue. His "rescue" took the form of an angry conversation with at least one particular caller and his publicly taking sides AGAINST the CDW and with the NCW. In the course of this radio bombshell, Apuron managed to disparage the credentials of the then-prefect of the CDW, Cardinal Arinze, and made it quite clear - by his many references to "we" and "us" when speaking of the NCW, whose side he was on and it wasn't ours. Audio of the show here. Transcript here. The next day I was called to a meeting by KOLG manager, Deacon Frank Tenorio, and asked, in the presence of Apuron, to lie for him in order to cover for why the show would not be rebroadcast as it normally was. Read I DON'T KNOW. THEY JUST TOLD ME NOT TO PLAY IT. I would say that it was this moment, this being asked to lie for Apuron in his presence, that I called to mind seven years later when I was called up by a friend and asked to read the letter in which Apuron demanded the resignation of Fr. Paul or "face a more painful and arduous closure to your assignment." For others though, many others, the war against Apuron started on that morning on KOLG in January 2006 when Apuron publicly, blatantly, and even brutally, ridiculed the authentic teaching magisterium of the Universal Church (the CDW), and mocked and debased callers who called into question the practices of the NCW. Everything we are seeing now, right down to the latest law suit, is simply fallout from that disastrous moment. And at the center of that moment was the order from the CDW to the NCW to conform its liturgical practices to that which was prescribed by the liturgical books. In fact, that order (given on December 1, 2005) was not that much different than the order delivered by the Rector of the Agana Cathedral on February 14, 2017, with the only difference being that if there was such an exception to the liturgical books permitted (an indult) that it be in writing and on the Rector's desk before this past Ash Wednesday. If what The Diana has reported is true about Atienza's meeting with Byrnes, then Byrnes has done EXACTLY what Apuron did on that January 2006 morning on KOLG, he has sided with the NCW against the norms, NOT of Fr. Paul, but of the Universal Church. And if he has done this, then he has split our local Church beyond repair - at least under his regime. And if he has NOT done this, then he MUST immediately repudiate what has been reported, and MUST put full episcopal force behind the norms demanded by the Rector of his Cathedral. Relax Tim. Byrnes knows what he's doing. But yes I agree. We wait. What makes you think so? By his own admission he knows nothing of the NCW. And also by his own admission he "reports to Filoni." Andrew.....is that you playing devil's advocate again? Tim is right. I always thought Byrnes was a disaster. Actions speak louder than words and he acts like a dedicated Neocat puppet. He won't turn against Apuron. byrnes is a coadjutor = assistant, happy playing his part, an assistant does what he's told, he makes an excellent follower. Actually, not quite. Coadjutor does not equal assistant. Auxiliary would maybe equal assistant. Coadjutor gives Byrnes all the power of the bishop of a diocese. And in Byrnes' case, since there is no bishop, Byrnes' has complete control. That's what's so disgusting about gutless Byrnes. 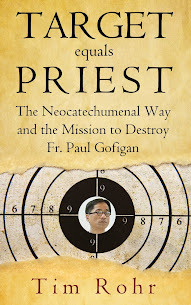 He has complete control of the archdiocese and he's deliberately allowing the NCW to destroy it. As a reward, guess who'll be moved to the Vatican with a bright Red Hat when Apuron is normally retired at age 75. Having authority and having control are two different things. As I said, what he will require the NCW as regards its illicit communion rite will say much. 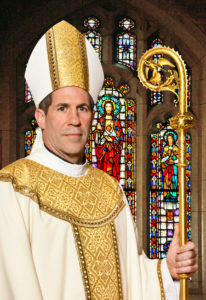 Archbishop Byrnes. I hope what the Diana is saying about you approving the NCW's practice of how they receive communion AGAINST the norms prescribed in the Liturgical Books, is NOT TRUE. Please tell us via some public forum what is it you advised Atienza in your meeting about the NCW? Thank you. I wait. Tim, Love that picture of Tony in his full regalia. . . he is soooo-oh-sooo cute, I want to kick him in the derriere. Does the Pope say the Mass the Neo Way? We should not call this NCW celebration as a mass, is not a mass, it is merely a gathering or a celebration. A Protestant-Judeo gathering that tries to portray the characteristics of the Mass but is actually empty of any divine content and therefore they do not consume the Body and Blood of Christ at this gathering, it is not a Mass. The Neo's invaded our Churches, spent thousands and thousands of the Archdiocese of Agana dollars remodeling and removing our Saints replacing with their art work with the approval of that sinful, selfish, thinks he is so mighty, etc. Apruon. "No-one can get me". You've been found. They are coming for you. 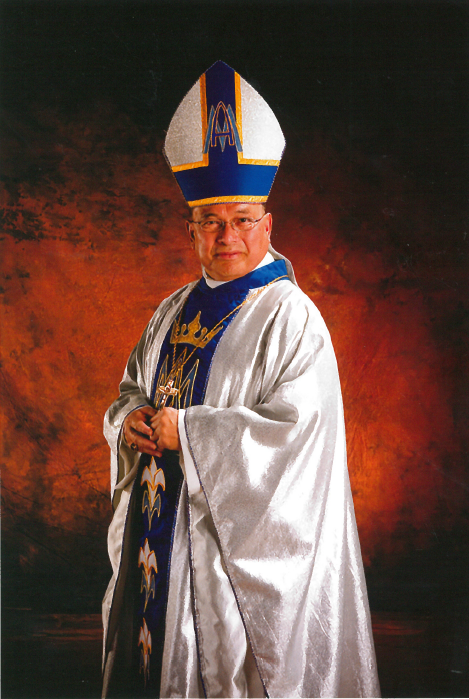 The NCW definitely has no business in our Churches and should not be allowed to continue trying to take over in any way with the Archdiocese of Agana Churches. AB Brynes must stop this. They NCW practice differently in so many ways from the Traditional Catholic. We must take back what is ours. Apuron removed himself as a Traditional Catholic to join the NCW. We will never have unity as long as the NCW exist in our Churches. They must be removed. Charismatics wrecked our gorgeous old churches with huge, hideous red felt banners that nearly obliterated Sanctuaries. Most people justifiably hated them. The horrid banners were eventually removed from all of the local churches where Charismaniacs no longer have an identifiable presence.